Crop rotation is a vital part of maintaining a healthy garden. My grandparents taught me this. They didn’t teach me in words so much as they did in actions. 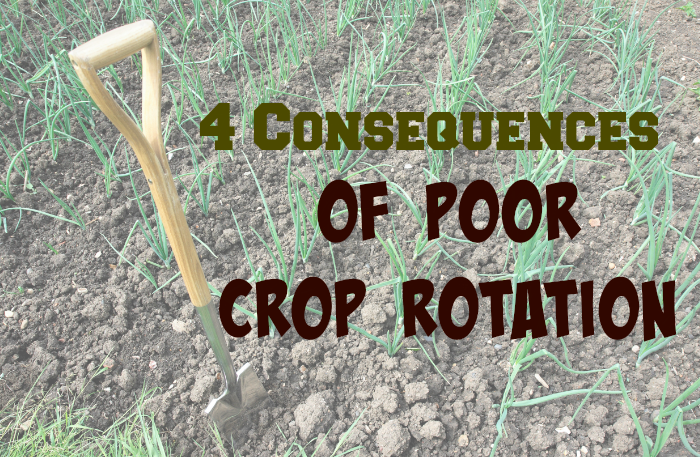 When we fail to follow proper crop rotation we suffer the consequences along with our soil. I have found keeping a garden journal is the best way to keep up with crop rotation. My memory is pretty good, but remembering what was planted in a spot 3 season ago is something I can’t accurately recall. Depending on a quality garden record is a must for proper crop rotation. Why is crop rotation necessary? Crop rotation helps build the vital nutrients in the soil. If you plant a nitrogen feeding plant, like corn, in a certain section, you’ll want to plant a nitrogen fixing plant, like beans, in the same spot next year. It also keeps bugs and disease at bay on a large scale. If bugs which feed on a certain plant bed down in the soil over winter, when they wake up next spring they won’t find their food supply handy and die. Certain diseases can go dormant in the soil and when the plant they enjoy destroying isn’t there, they die too. 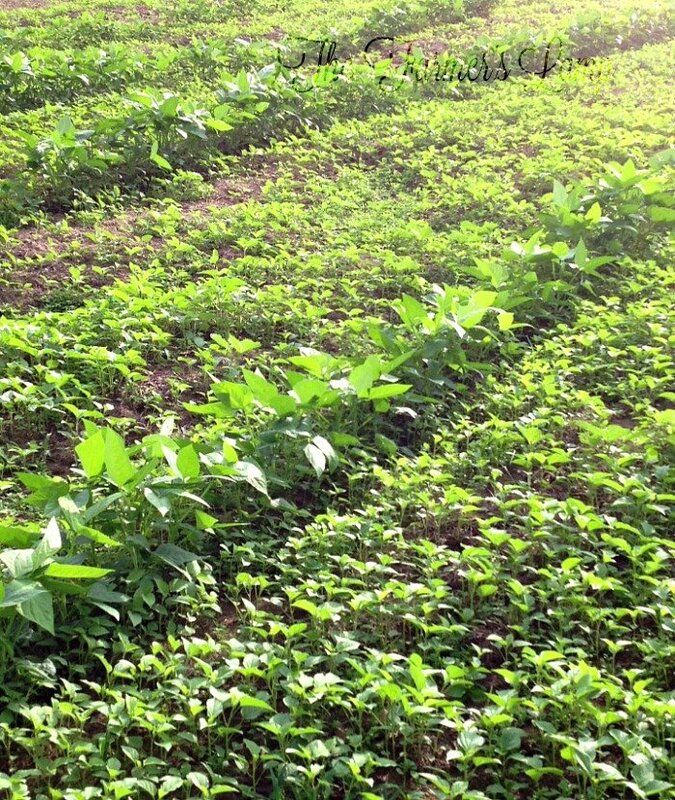 Proper crop rotation not only involves nutrient needs, but also plant families. What can happen if crop rotation isn’t practiced? Like we talked about above if you plant the same crop in an area year after year, the soil will be depleted of vital nutrients. This will require more fertilization and this can be costly and time consuming. By rotating crops you will not only give the soil what it needs to repair itself, you’ll reap a larger crop. Your garden soil is alive with all kinds of microorganisms. It also harbors plant diseases. Crop rotation breaks the cycle by removing the desired host plant. Although this is a straightforward concept, many miss the gravity of it. Like diseases, pests also overwinter in garden soil. Crop rotation will deprive them of their food supply and kill them before they can destroy your crop. For example, the Colorado potato beetle eat potato plants, but they also love feasting on eggplant and tomato leaves. Since they overwinter in the ground, if you plant eggplant or tomatoes where potatoes grew in the last two years, you could be inviting a beetle infestation which will take years to destroy. This is just one example of rotating plant families. Yep, believe it or not, crop rotation affects week growth. We deep mulch to take care of most all of this problem, but what it you don’t practice deep mulch gardening? Certain fast growing plants are weed prone. Winter squash, pumpkins, carrots, onions, and melons are among them. The vines are wide spreading and can leave large portions of soil uncovered. This allows light, air, water, and space for weeds to grow. Carrots and onions are not viney plants, but they grow vertically, leaving the same situation. 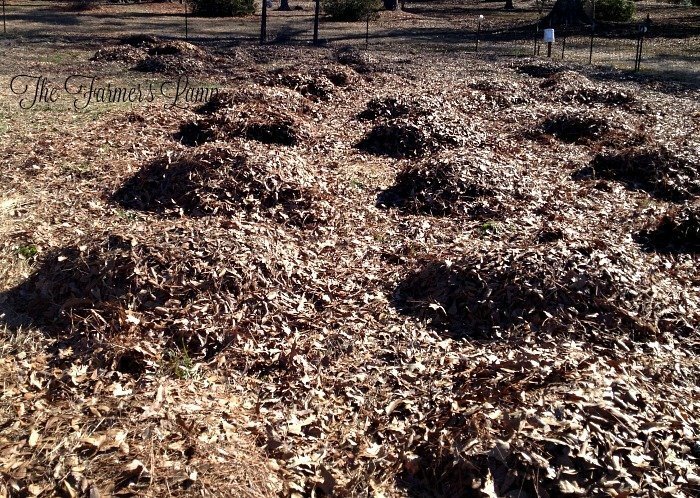 Deep mulch gardening, along with crop rotation, can cut down on and even eliminate weeds in your garden. Morning glory is the hardest of all garden weeds to get rid of, in my opinion. The first year I planted buckwheat as a cover crop I didn’t pull morning glory because I wasn’t sure if it was the buckwheat or not. Being new to buckwheat, I wasn’t aware of the differences in the two when they first come up. Needless to say, I had trouble with morning glory for a few years. It seems to come up no matter how deep the mulch. Since it comes up less with deep mulch I was able to eventually eliminate it by hand pulling what made it through. We’ve really already discussed this subject. Maintaining healthy garden soil depends not only on what’s added to it, but on what’s taken away. Plants are usually classified as light, moderate, or heavy feeders in reference to their nutritional needs. For example: corn and broccoli are heavy feeders; peppers are a moderate feeder; and lettuce is a light feeder. Keeping crop rotation records ensures we don’t plant a heavy feeder directly after a heavy feeder. I know it seems creating a crop rotation plan is lots of work—and really, it can be! But with just a little effort put into your garden planning, you’ll be well on your way to growing a healthy, bounteous crop to supply you with produce to enjoy and preserve. Crop rotation is a simple act which will reap large rewards. If we pay attention to our garden layout, we can avoid having pest and disease as well as save ourselves time and money by not having to continuously fertilize. We use only organic fertilization and mostly by composting. Do you have crop rotation tips to share with us? I do practice crop rotation in my garden, I keep a map of my garden each year in a spiral notebook and I compost, but I have often wondered how much difference crop rotation makes, being that my garden is small: 30×15. And it’s fenced in with a picket fence and chicken wire stapled to keep the bunnies out. I have a strip I plant in at each end that’s 15x2ft. And then four large blocks with a path in between. I have been planting close together for years based on square foot gardening and other similar techniques. My typical garden is two block of green beans, one block of okra and one block of tomatoes. The ends strips are usually a few peppers, and whatever happens to work out (sometimes nothing ): lettuce, cabbage, cucumbers, sweet potatoes, broccoli, peas. I’ll try something one time and it’ll grow great and then just doesn’t grow at all another year, in spite of rotating crops. I used to rotate the whole garden-keeping the end strips in the rotation, but my beans or okra never grew well in the ends, so now I just rotate the non beans, okra and tomatoes in the ends and keep those three crops rotating in the four main blocks. The only pest that is a bad problem are bean beetles. My first picking of beans is usually beautiful and then the beetles come. The rest of every summer (that the beans do well) the beans all have little (or big) bites out of them. I’ve been reading about food forests and other similar concepts and wondered if doing more inter-planting of multiple crops would be helpful. But I haven’t tried it yet. So many things yet to learn even after 30 yrs of gardening! Thank you for your comments, they are a pleasure to read. I love hearing about others gardening experiences. So many are similar and yet all different. One thing gardening has taught me over the years is that there is little I know and much to learn. Please keep me posted with your progress!